Bruce Bowen may or may not have been looking for a new job after being fired from being the L.A. Clippers analyst over the criticism of Kawhi Leonard. 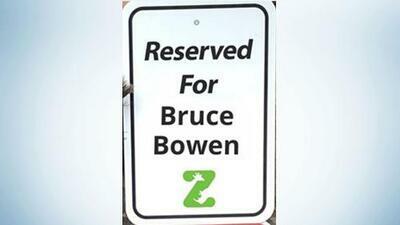 The San Antonio Zoo posted to Twitter offering retired Spurs player Bruce Bowen a job with his own parking spot. Bruce quickly repled to the zoo saying "I Gladly accept! ".